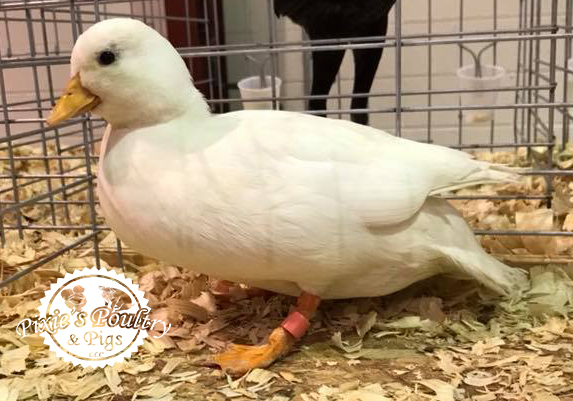 With Hurricane Irma decimating a huge portion of show season in the South East we decided to finally get in a road trip to both the Sussex County Poultry Fanciers in New Jersey and the Little Rhody show in Rhode Island. With them being around 4 hours apart it is entirely possible to complete NJ on Saturday and then drive over to Don Nelson's show in RI on Sunday. 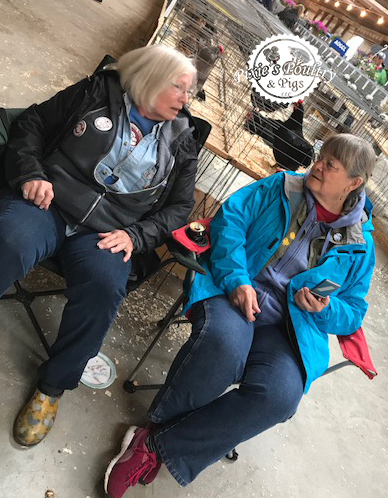 Saturdays show featured over 70 silkies and the competition was fierce with both Billye Davis and Kate Morreale (Grand Master Exhibitor) in attendance making it tough to win. We came away with Best variety in Blue, Buff, Grey, Paint and Partridge backing that up with Reserve variety wins in Blue, Grey and Paint. 2018 - Little Rhody Show - RI. Sundays show featured around 50 Silkies and severe competition with Billye Davis's amazing whites in attendance. We managed to come away with Best variety in Blue, Grey, Splash, Paint and Partridge and also Reserve in Blue, Grey, Splash and Paint. Just one of Billye Davis's stunning Whites. As with many road trips you just simply can not predict what is going to happen next and it was somewhere in NY that we stopped for gas and food on the way home. We bumped into this lovely lady while getting food in an amazing chicken dress! Almost the highlight of the weekend. This was the Central Heritage Poultry Classic's inaugural show. The show being held in Kissimmee, FL. With the show being a little under 2 hours away from the farm we made the choice to attend and leave on the same day of the show. We only took Two Bearded Grey Silkie Hens to the show. Being a double show the birds were all judged twice and we took Best Variety and Reserve Variety in Grey in both shows. For Jonathan this represented a successful show as he works his way towards improving the Grey color. With recovery efforts from Hurricane Irma still in full swing, we decided to take many less birds than is normal to show this weekend. Many of our silkies having already moved into breeding pens for the 2018 year. We were left taking White Call ducks, pair of Pastel Call Ducks, Partridge and Gray Silkies and a pair of Silver Ameraucanas. We took reserve champion Call Duck with a Pastel Hen, best variety and also a reserve variety in Partridge Silkies. With the Gray Silkies we took best and reserve variety on both occasions in this double show. We also took best and reserve Ameraucana with our Silvers in both shows. The Chattahoochee Valley Poultry Association show is held in Newnan, GA. This was our first show of 2018, which will be significantly less than usual after Hurricane Irma decided to take its toll on the farm. Our White Call Duck 'old Duck' took Champion Bantam Duck and one of our White Call Duck Young Drakes took Reserve Champion Bantam Duck. The Citrus Classic is a double show hosted by the Central Florida Poultry Breeders Association in Inverness, FL. This was our first show of the 2017-2018 season, which will be significantly less than usual after Hurricane Irma decided to take its toll on the farm. In the first (Blue card) show we won Champion Featherleg with a Black Silkie Pullet. Also taking Best Variety in Buff, Partridge and Gray. We went on to win Reserve Variety in Gray, Partridge and Black. A beautiful White from Shanna Parker Gardner took Reserve Featherleg in the second (White card) show. We took Best Variety in Black, Buff, Partridge and Gray as well as Reserve Variety in Partridge, Gray and Black. In show one we achieved Reserve of Breed with a White Pullet. We also obtained Best Variety in Blue, Buff, Gray and Partridge. Reserve Variety in White, Blue, Black and Gray completed the first round of results. In Show two we achieved Champion Featherleg with a Black Pullet. Reserve of Breed with a White hen. We also obtained Best Variety in Gray, Blue, Buff and Partridge. Reserve Variety in White, Blue, Partridge and Gray completed the second round of results. In show one we achieved Reserve Featherleg with a Black hen, Reserve of Breed with a Gray hen. We also obtained Best Variety in White, Blue, Splash, Buff and Partridge. Reserve Variety in White, Blue, Buff and Gray completed the first round of results where we 38 Silkies were on display along side 116 Featherlegs. In Show two we achieved Best of Breed with a Black hen and Reserve of Breed with a White pullet. We also obtained Best Variety in Gray, Blue, Splash, Buff and Partridge. Reserve Variety in White, Blue, Buff and Gray completed the second round of results. In show one we achieved Reserve Featherleg with a Black hen, Reserve of Breed with a Gray hen. We also obtained Best Variety in White, Blue, Splash, and Buff. Reserve Variety in Black and Gray completed the first round of results. In Show two we achieved Champion Featherleg with a Buff hen and Reserve of Breed with a Gray Pullet. We also obtained Best Variety in White, Blue and Splash. Reserve Variety in Black and Gray completed the second round of results. In show one we achieved Reserve Featherleg with a White hen. We also obtained Best Variety in Gray and Buff. Reserve Variety in White, Black and Gray completed the first round of results. In Show two we achieved Champion Featherleg with a Black hen and Reserve of Breed with a Buff hen. We also obtained Best Variety in Splash and Gray. Reserve Variety in Buff and Gray completed the second round of results. The 2016 American Silkie Bantam Club Nationals were held in Hutchinson, KS on 15th October 2016. 2016 Western Silkie National Champion went to a Black Pullet shown by Paige Kleckner. We took Reserve Champion also with a Black Pullet. We also came away with Best Variety in Blue, Splash and Buff. Reserve Variety awarded in Gray.